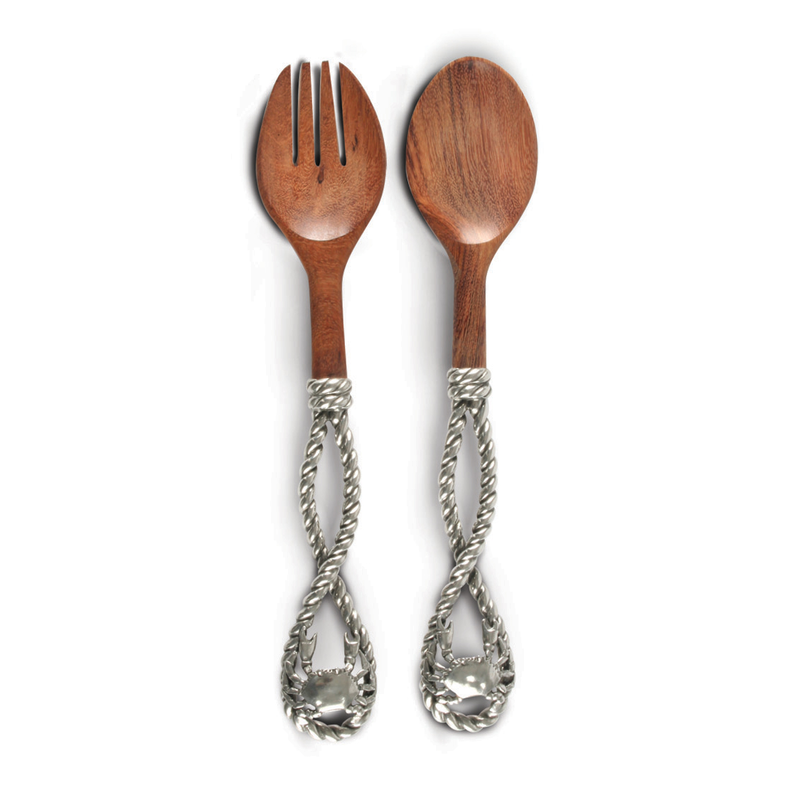 Give your dining room a nautical update with the Crab & Rope Salad Server Set. Crafted with beautifully burled acacia wood, a twisted sailing rope handle, and a stylish crab perched at each top, this salad server set makes a beautiful accent. This coastal dinnerware ships from the manufacturer. Allow 3 to 4 weeks. Cannot express ship. For more pieces, we encourage you to take a moment to check out our extensive collection of coastal dinnerware at Bella Coastal Decor now.